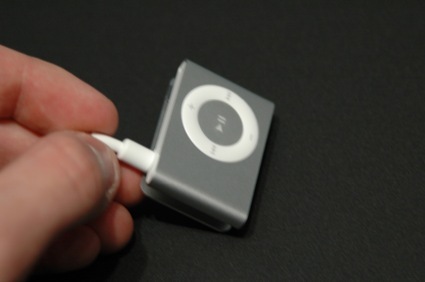 Great god of portable audio, this new 2G shuffle is freaking unbelievably small. 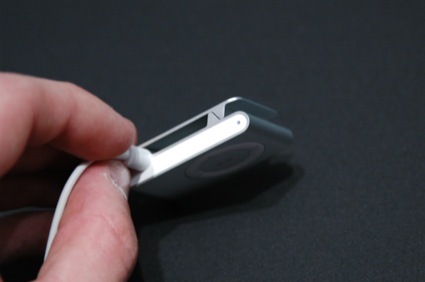 Like, seriously, it's kind of weirding us out -- it's like they chopped a regular shuffle in half, then skinned off some thickness, then added a clip. 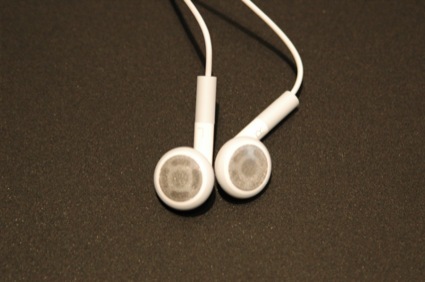 Oh, we also got a look at its evolutionary new iPod earphones -- remember the failed canalphones? 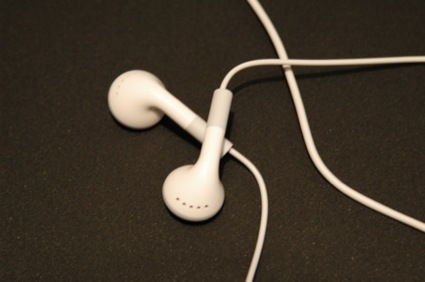 These new ones are kind of halfway in between those and the classic iPod phones. Click on, this is a $79 work of consumer tech art, even if it won't play most file formats we're actually interested in.